For nearly 30 years Folsom's has been sugaring with traditional methods here in southern NH. We use only buckets and use a 3'x8' wood-fired evaporator to boil our sap into the best maple syrup we can make. 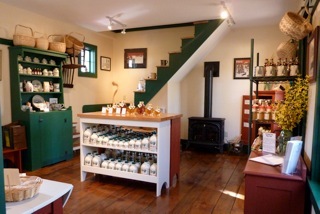 Farm store open Weekends Maple Season late Feb - early Apr; weekends from Columbus Day through Christmas and other hours and on demand as posted on our website or Facebook. maple syrup. Other maple products we make or offer are: maple candies, maple cream, maple sugar, maple bricks, Ledge Top Maple BBQ Sauce, Sunnyside Maple Mustard, Hutchinson's Maple Caramel Popcorn and Fudge.